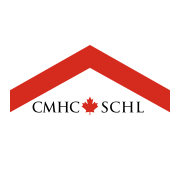 Canada Mortgage and Housing Corporation (CMHC) launches a new website for National Housing Co-Investment Fund applications and other NHS initiatives. It goes live on April 23, 2018. The new webpage will feature tools to help navigate the application process and more details on all of the new NHS initiatives. Applications for the existing Affordable Housing Innovation Fund and Rental Construction Financing initiative can also be made via this website.